Rakesh Roshan is battling early stage squamous cell carcinoma of the throat. 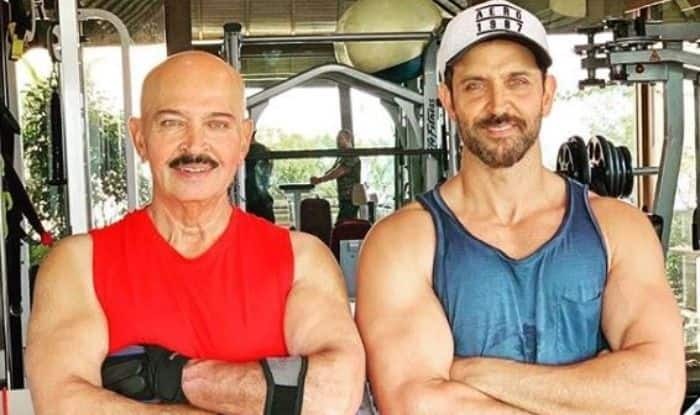 Actor Hrithik Roshan today shared a smiling picture with his father Rakesh Roshan revealing that the latter is battling early stage squamous cell carcinoma of the throat. He also informed that his father is on high spirits and is set to undergo surgery. This comes as a shock to all his fans. In the picture, Hrithik and Rakesh can be seen posing in gym with smiling faces. Well, it seems like despite this tough time, both the stars are spreading positivity. Earlier, Irrfan Khan and Sonali Bendre were also diagonised with cancer. Speculations are also rife that Rishi Kapoor, who is undergoing medical treatment in New York is also diagnosed with cancer. Rakesh was reportedly occupied with the work of his upcoming film Krrish 4. He collaborated with Hrithik for films like Kaho Na… Pyar Hai, Krrish 3, Koi… Mil Gaya. All the movies did well at the box office. On a related note, the actor is gearing up for the release of his upcoming film Super 30. The movie is based on the life of mathematician Anand Kumar. It was directed by Vikas Bahl. However, after #MeeToo allegations against him, he was asked to step down. It is all set to hit the screens on January 25 and will fight the box office battle with Kangana Ranaut starrer Manikarnika.